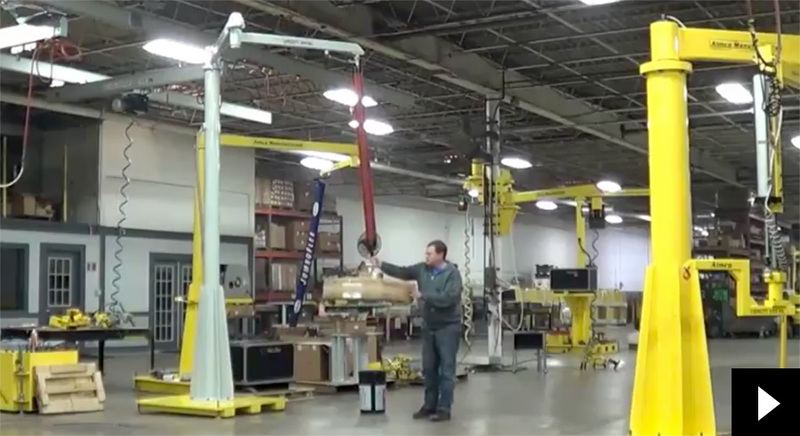 End tooling products provide solutions for various lifting jobs in the food and beverage industry. 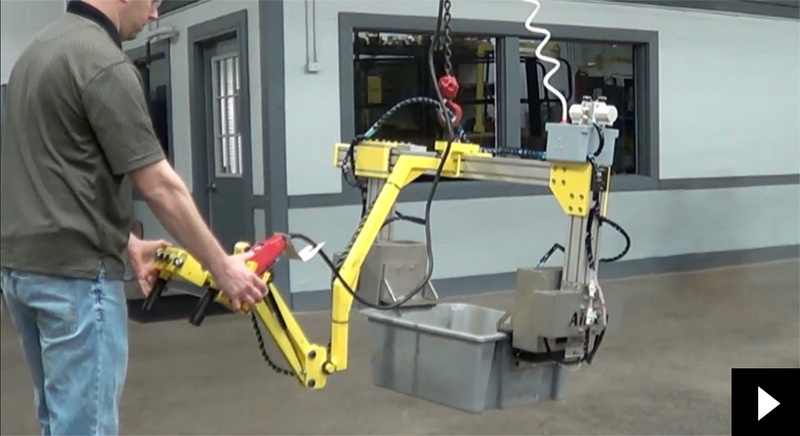 Watch the AIMCO Mechanical Grab for Chocolate Dumping. 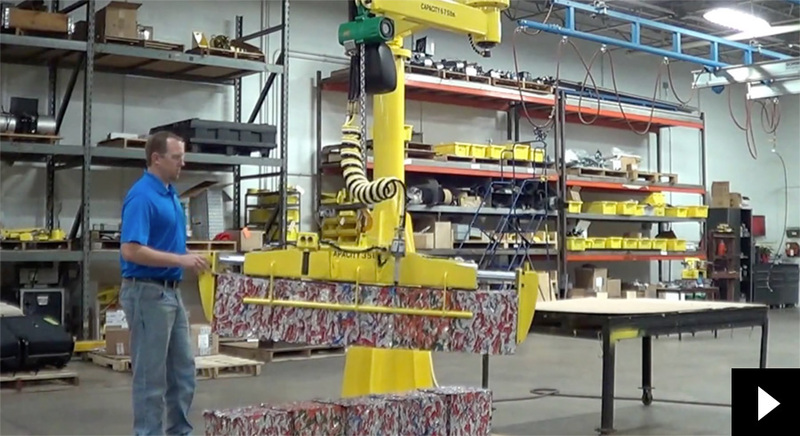 Watch the AIMCO Mechanical Grab for Crushed Aluminum Cans. Watch the AIMCO VacuJib with Food Grade Powder Coat.